Critics doubt it. Skeptics deny it. Naysayers dismiss it. NONE WILL BE ABLE TO DELAY IT! For your best love-gift today, I want to send you a personally autographed copy of this brand-new, landmark book THE FINALE – One World…One Ruler…One Reign…. This exclusive hardback copy is the last in a trilogy of prophetic books including: The Cross – One Man…One Tree…One Friday… and GONE – One Man…One Tomb…One Sunday…. Order yours today from our soul-winning, worldwide ministry of Breakthrough, right now in God’s year of Perfection and Completion. 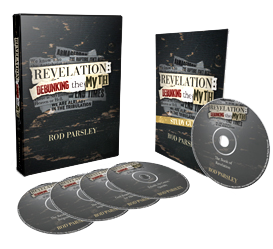 For a love-gift of $60 or more, In addition to THE FINALE, when you order now, I also want to send a four message teaching series called Revelation: Debunking the Myth on DVD, CD or USB plus the study guide. This prophetic series on the end times takes you chapter by chapter through the book of Revelation. With these resources, you will come to understand Revelation, be able to share it, even teach it – and you will certainly be able to explain it to your unsaved friends and family. I truly believe that reading this book can be the key to your family finally coming to know Christ as Savior. Please send me the names of your unsaved loved ones in the form below so I can pray for them. This is it! It’s time for you to look at the end times in a positive, forward-looking way – filled with hope, anticipation, exultation and the news of our ultimate victory! The end times herald our final triumph over the evil one forever. Experience the incredible POWER of our Lord and Savior Jesus Christ located in the book of Revelation … not in “theory” … but personally! Practically! Supernaturally! 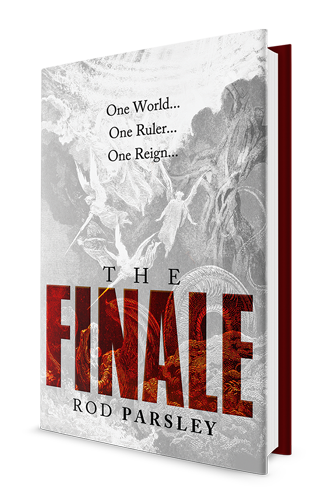 Request the EXCLUSIVE Signed Hardback Edition of my new book, THE FINALE – One World…One Ruler…One Reign… TODAY! Here is my love-gift of $60 or more. Please send me your brand-new prophetic book, THE FINALE – One World…One Ruler…One Reign… along with your four audio message series called, Revelation: Debunking the Myth along with the companion study guide. Here are the names of my unsaved love ones. Please pray for my family.